We are delighted to announce that we have recently become Ireland's sole based partner for Auvesy’s Versiondog product– a version control solution for PLCs, CNCs, SCADA systems, HMIs, robots, drives and field devices. What system changes have been made? When was the last backup performed? Where do I find the latest version of the control program for this automation device? Why is the online version different from the latest released version on the server? 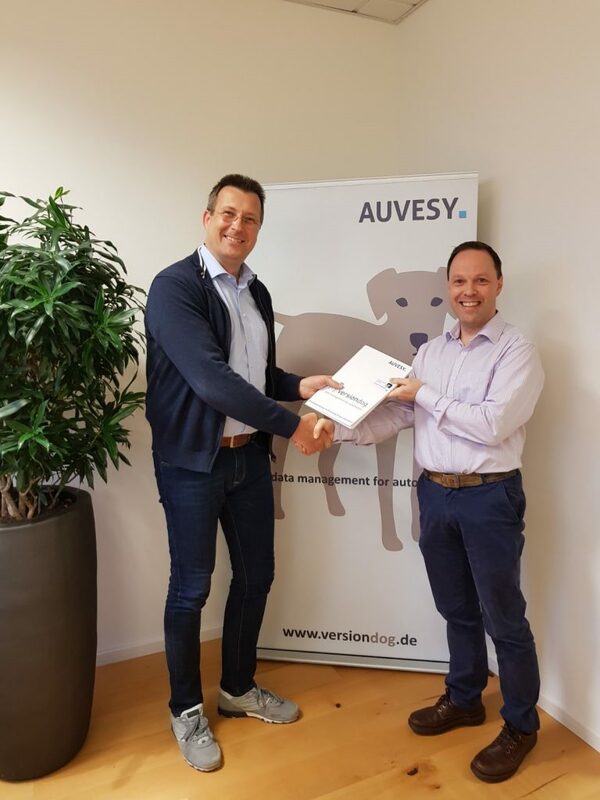 Earlier this year, we signed a strategic partnership with Auvesy, the company that develops Versiondog. We spent a number of days with the Versiondog team in Germany as they demonstrated their application’s capabilities. Needless to say, we were extremely impressed and are now very excited to introduce this solution to the Irish and UK market. Versiondog boasts a comprehensive integrated document management system, allowing you to (optionally) manage your technical documentation, alongside it’s associated configuration data and control programs. It offers audit trail reports at the click of a button, providing a complete change history. These features, in combination with its powerful version control abilities, allow end-users to standardise management of all changes to control programs and associated documentation. Users can analyse and trace changes using either graphical, tabular or text-based version comparisons, displaying changes clearly and comprehensibly. Versiondog can perform scheduled automated backups, fully safeguarding your data and leading to significant time savings. It can perform detailed comparisons between online and offline control projects, allowing you to be certain that your automated device control programs are current and correct. You always know exactly what version is running in production, and setpoints and parameters can be checked and restored if necessary at any time. It offers configurable alarm(s) and notifications options for use on detection of code/configuration changes. Its mobile backup-client enables the same backup strategy for both networked and non-networked equipment. We are very excited about this strategic partnership, we hope you are too. If you would like to hear more, please visit our Version Control webpage or feel free to reach out to us! Pictured above is Will Wilmot(R), MD, Milestone Solutions with Thomas Hoerauf (L), VP Global Accounts, Auvesy GmbH.